Students should arrive at 8:00 AM. 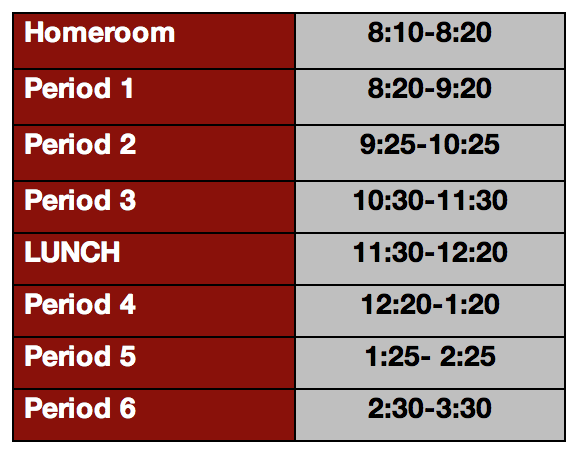 Students must be in homeroom by 8:10 AM for attendance and morning announcements. Other than Early Years, students arriving after 8:20 AM will be expected to go to the school reception for a tardy slip to enter the class. Students will move to their first class at 8:20 AM. Only students in K5 and higher are permitted to take the school bus - K4 students must be dropped off and picked up by the parent or authorized adult. Students will be dismissed at 3:30 PM. The school buses will depart at 3:35 PM. 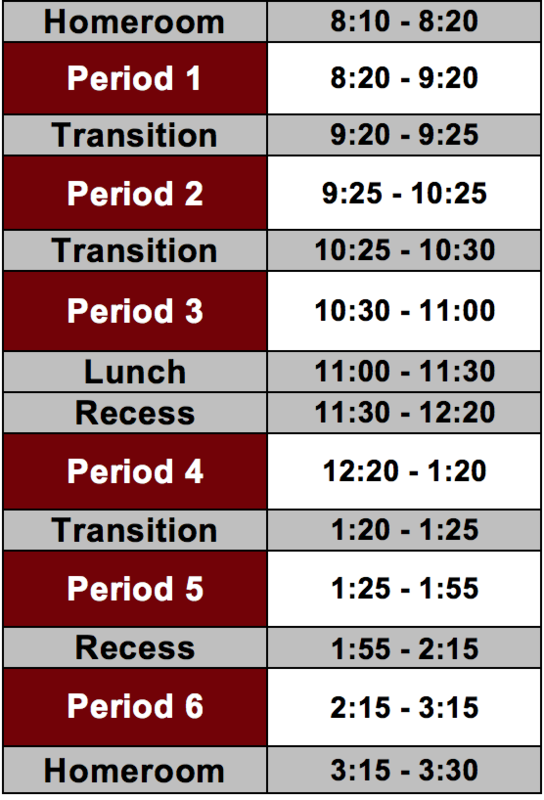 On Wednesday, students will be dismissed at 2:20 PM and buses will depart at 2:25 PM. The campus is secured at 4:00 PM and all students must be off-campus at this time unless involved in a supervised activity. The Early Years Programme consists of K4 and K5. The timetable is flexible and may change from day to day. Students have a snack twice per day and eat lunch in the classroom at approximately 11:50 AM. Students in K3 and K4 take a nap in the afternoon. The Primary Years Programme consists of Grades 1 to Grade 5. PYP classes operate on a five-day schedule with eight periods each day. The Middle Years Programme consists of Grades 6 to 10 and the Diploma Programme consists of Grades 11 and 12. These programmes operate on a ten day rotating schedule with six periods each day.